Do you ever have design roadblocks? With me, it's draperies. I love love love getting fabric samples and dreaming up looks... but when it comes time to actually decide on draperies, I can be so indecisive. Hence, that's why it has taken months for me to decide on window coverings for the basement. I knew the feel I wanted - something more casual, relaxed. But our whitewashed plank walls are so neutral, I had limitless options: bold florals, geometrics, solids, striped. Most anything could work. It was like standing in the grocery aisle and trying to decide between 42 flavours of ice cream. Impossible! If you follow me on Instagram, you'll know that I finally did make a decision. 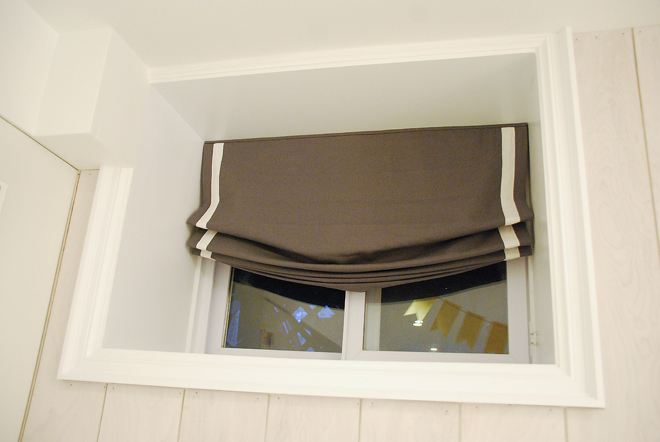 I am really loving linen lately so I went with linen relaxed roman blinds from Tonic Living. The fabric is Brussels Washer Charcoal with a 1" band of Tuscany Linen Oyster on each side. It has a muslin lining which softly diffuses the light. 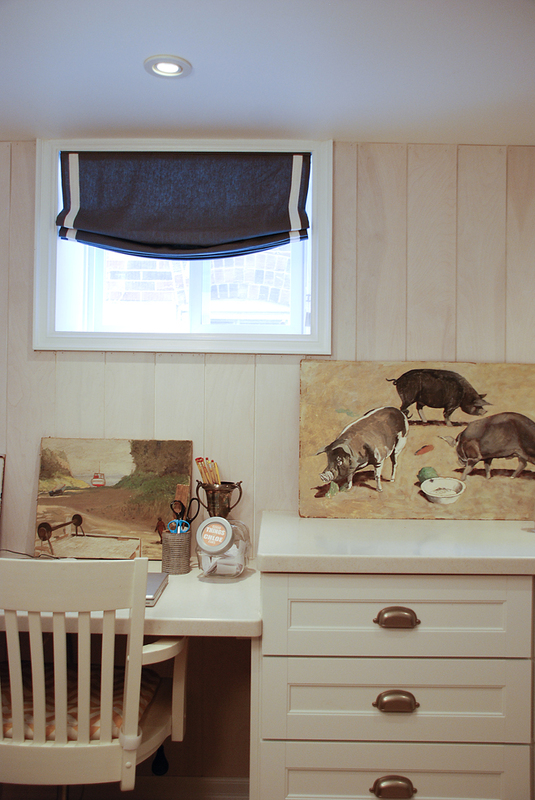 I think the dark colour and lack of fussy details really suits our easy breezy basement. 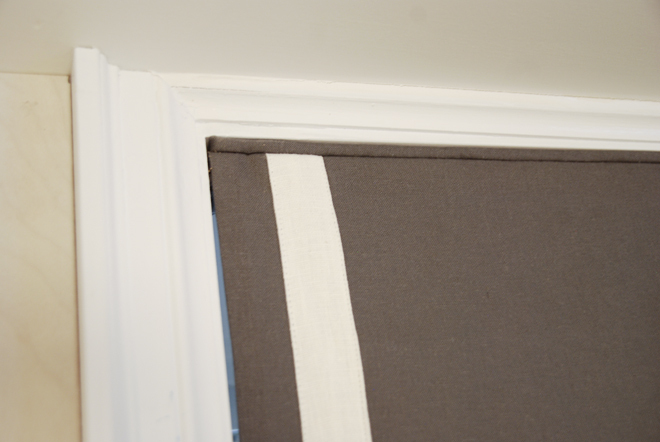 We have other roman blinds in the house like this one in our upstairs bathroom which a seamstress simply made with the fabric attached to a piece of wood. 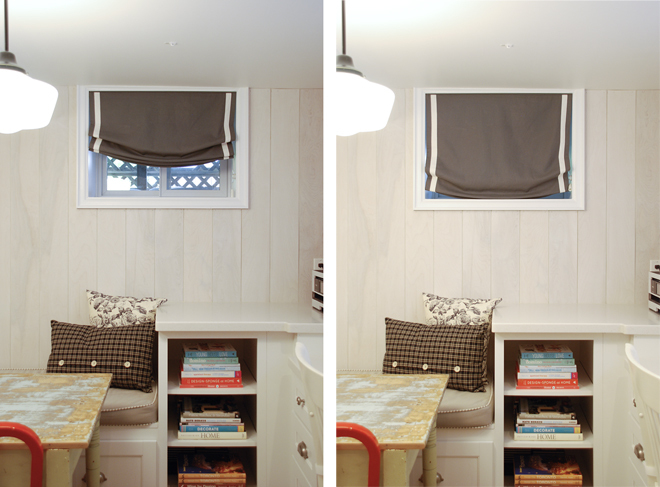 I was impressed by the higher quality of these blinds from Tonic Living. 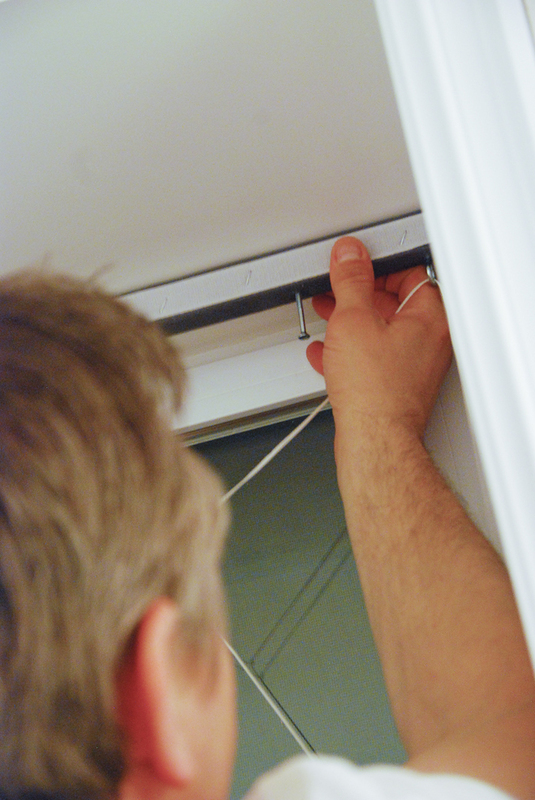 The fabric is held to the wood with velcro and detaches for easy installation. 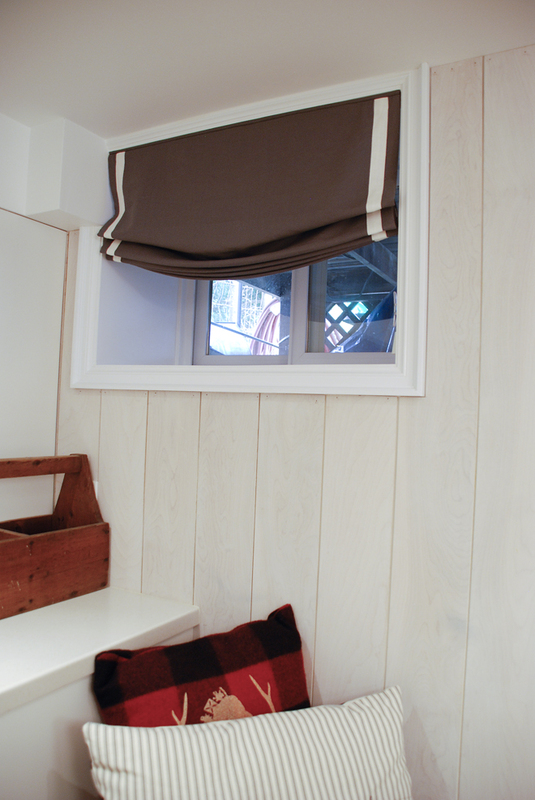 The blind comes with instructions and all the hardware needed so we were able to install it in about 10 minutes. I quite like the little piping detail at the top of the blind. It really gives it a finished look. We have three blinds in the basement. Most of the time, I'll keep them half open because I like to let in some natural light. I could have gone with faux romans but I wanted the option to keep the blinds closed in the wintertime. Who needs to see all that snow anyway! Do you have design roadblocks? Any design decisions you're procrastinating on? Tell me I'm not the only one! a all round enjoyable blog (I also love the theme/design), I don't have time to look over it all at the minute but I have book-marked it and also included your RSS feeds, so when I have time I will be back to read a lot more, Please do keep up the excellent work.